The Manual Capsule Filling Machine & Material is one of the oldest as well as the most popular and widely used form of capsule filling. The machine is designed and manufactured with utmost care to handle all sizes ranging from 00 to 2 separate Model & 3/4/5 separate Model to give you trouble free services year after year. The manual capsule filling machine is widely used in research laboratories, academic institution and medium to small scale manufacturing industries. You have the option of buying an Automatic Capsule Loading Machine, which speeds up the production activity, as the maximum time taken is for the loading of capsules manually on the loading trays of the capsule filler. è Operator has to manually feed bottles on the Loading Table with Push Button for the starting of the Automatic Pneumatic Cylinder stroke for group packing for automatic wrapping, cutting & shrinking procedure. Multiple wrapping system using LDPE material with 2 side opening for heavy cases. The system consists of 2 units, one a wrapping unit that is used to wrap the product with the shrink film and the second unit where the shrinking of the product with the film takes place. The product to be wrapped will be placed in the base tray and fed into the auto-wrapping machine. The bottles with the tray must be placed before the pneumatic pusher arm. 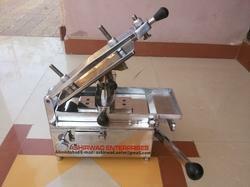 Once the product has been placed manually pusher pulse has to be given manually. The tray with the bottles will fed into the machine for sleeve wrapping over the product. And then the sealing pulse must be given. 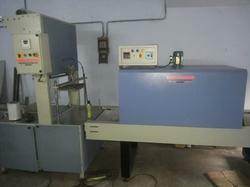 The sealing takes place with the help of pneumatic system for which air supply has to be provided. Shrinking of the film takes place at a set temperature and speed of travel. Ø Confectionary Jar Pack, Beverages & Dairy Product. Looking for Capsule Filling Sealing Machine ?